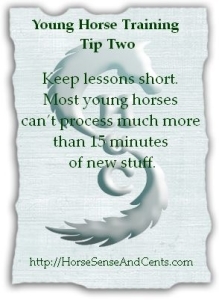 It’s not fair to expect a young horse to be focused on your requests if he’s not allowed time to kick up his heels. A tiny paddock available through the back stall door isn’t enough. 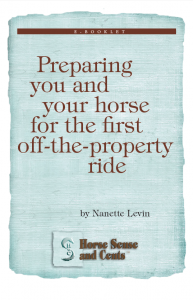 If your horse is at your home, there are many ways you can design space with what you have. 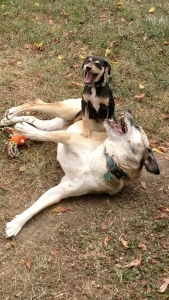 Sometimes you can do this at a boarding facility too. Any good young horse training strategy must include time for your baby to kick up his heels. Your spouse might get a little cranky about this one, but it’s fairly easy and inexpensive to put temporary electric fencing on a lawn. Just make sure you spend time working with your horse to ensure he’ll honor the boundary first. Also, it’s best not to do this during the muddy season. Be prepared to rotate frequently or your lawn will get gone. If you have some land, consider fencing it in (bigger is better in this case – you can always subdivide a perimeter with cheaper and mobile materials). Mowing actually improves pasture condition. Don’t hesitate to cut back the weeds once in a while so tenderer, more nutritious (and palatable) plants can grow. While there are a slew of cautions out there about poisonous plants you must scour your property to remove (do this if you have the time for a safer approach), horses are generally pretty good about knowing what’s bad for them (or what they need to supplement what they’re not getting from you) if ample, nutritious feed is provided. Don’t forget the importance of salt (and know horses have different needs than what’s provided in the typical 50 pound blocks designed for cows). Always make water available. This means ensuring no ice crusted water. 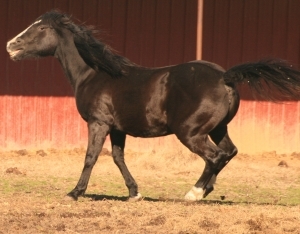 Colic is a big issue with horses that are dehydrated. What are good options for fencing in a pasture? It depends. 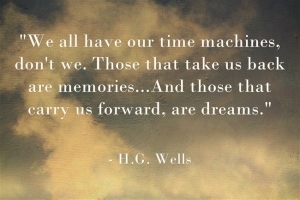 With over 20 years spent fencing acres at Halcyon Acres®, we’ve tried it all. Some solutions worked better than others. What’s necessary for training facility with hot bloods and transients shipping in frequently, though, may not be essential for your particular situation. Even so, sometimes it’s surprising what works best. We’ll cover what worked and what didn’t including some creative approaches for fencing on a budget in the next blog post. If you think you can keep young horse training a happy time for your horse without time to buck and play, you’re in for a big challenge. If you don’t have access to a barn that offers enough pasture space for your horse to run (with equine companions for him to frolic with), you might be able to use land available but not yet fenced. See the section above for some ideas on things you should consider as you envision a plan borne from sweat equity and an open-minded facility owner. Get an agreement in writing before you invest heavily. 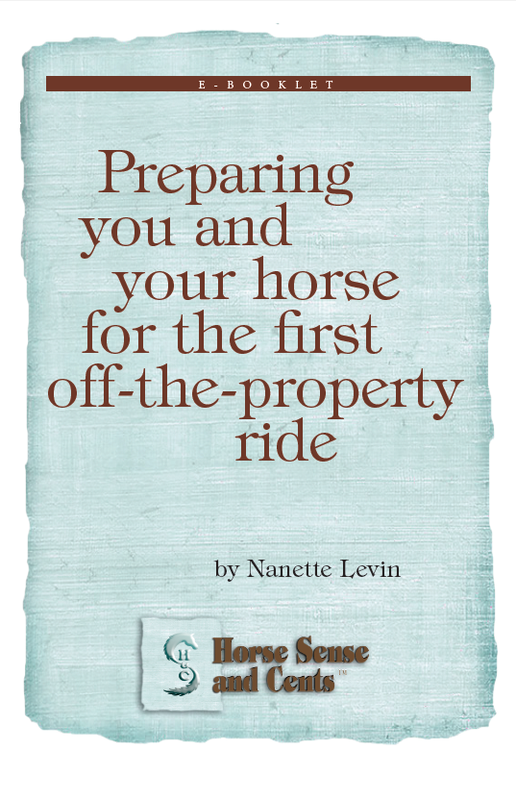 It’s fair for you to incur the cost of time and materials to construct a pasture where your horse gets first dibs, but you don’t want to pony up without assurances you’ll be able to use the space after your project is completed. If you don’t put pen to paper before you begin, the property owner can enjoy your work product without your horse ever doing the same. They can ask you to leave any time. It’s also important that you both understand what the other expects in terms of materials used, access, responsibilities for care relative to turnout and other concerns. If you’re boarding at a place that has no possibility of pasture turnout, consider a move. Land available means opportunity. It’s relatively inexpensive (although can be labor intensive) to pound in T-posts (cap them to be safe) and string an electric fence. There’s tape, rope, wire and other options available. People tend to put a huge emphasis on stalls (mostly for their convenience). Most horses are happy turned out 24/7 if there’s ample water, food and shelter. Run in sheds work fine for most situations. Horses tend to seek shelter more in the summer (for protection from bugs, sun and heat) than winter, so make sure during any time of the year shelter is provided if a pasture is your horse’s home. 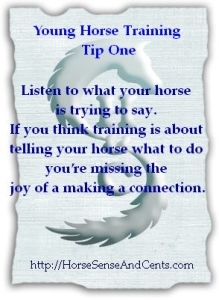 Of course, the most important factor for the majority of horses is your company and attention. You could save a lot of money housing your horse if you’re willing to consider turn-out board. 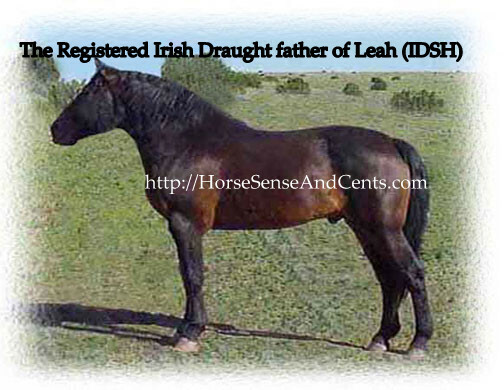 Just ensure this provider is attentive to keeping water filled and cleaned, closely checking each horse at least daily, supplementing for nutritional needs throughout the year (hay, grain, salt, supplements as necessary), able to at least handle minor injuries and knows when an issue needs a vet, has safe fencing & pastures and enough shelter to accommodate all horses in the herd. On the latter point, there’s usually at least one bully in the mix, so you should look for multiple sheds or an L-shaped shelter so lesser ranking equines can escape from the elements. If there are no options where you live besides stall residence and/or tiny paddocks (we have a lot of UK readers where this is the case), let your horse loose in the indoor or outdoor arena daily. Teach him to lunge (take it easy here – if it’s his only release let him play without reprimanding him too hard for doing so or chasing him around to get him tired). Figure a way you two can play together (safely) while you’re off his back with whatever you can find for space. You can also talk to neighbors who may have existing pastures and compatible companions and negotiate visiting rights. If you’re in the country, chances are you’ll find a generous soul who welcomes you and your horse into their home without an eye toward reciprocity (although you should consider what you can do to help make their life easier). If you’re in the suburbs or a wealthy area, people are likely going to want to be paid even if you only walk or truck in for short day trips. Still, that’s not a bad idea if you’re only boarding option(s) have no pasture space. You might be able to negotiate a trade with stall cleaning, turn-out help, holding for the blacksmith or other duties you can perform to save them time. 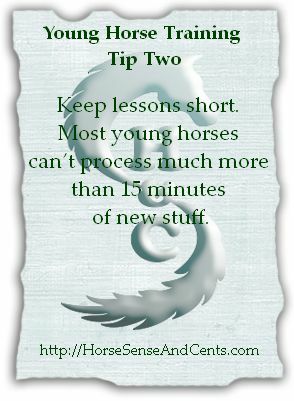 Make turn-out part of the young horse training process. 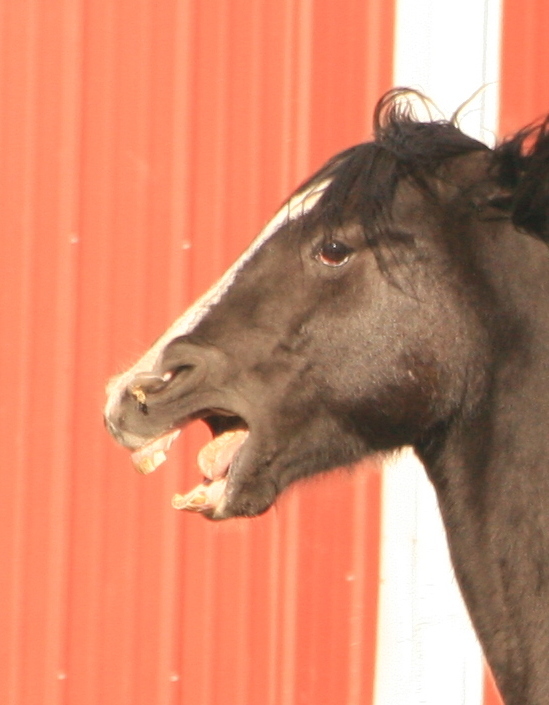 A horse locked in a stall all day will get bored, fresh and frustrated. That makes it a lot harder for him to pay attention to what you’re trying to teach him.